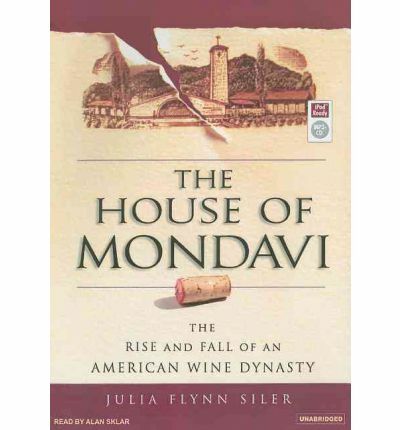 Set in California's lush Napa Valley and spanning four generations of a talented and visionary family, The House of Mondavi is a tale of genius, sibling rivalry, and betrayal. From 1906, when Italian immigrant Cesare Mondavi passed through Ellis Island, to the Robert Mondavi Corporation's twenty-first-century battle over a billion-dollar fortune, award-winning journalist Julia Flynn Siler brings to life both the place and the people in this riveting family drama.The blood feuds are as spectacular as the business triumphs. Cesare's sons, Robert and Peter, literally came to blows in the 1960s during a dispute touched off by the purchase of a mink coat, resulting in Robert's exile from the family-and his subsequent founding of a winery that would set off a revolution in American winemaking. Robert's sons, Michael and Timothy, as passionate in their own ways as their visionary father, waged battle with each other for control of the company before Michael's expansive ambitions ultimately led to a board coup and the sale of the business to an international conglomerate.A meticulously reported narrative based on thousands of hours of interviews, The House of Mondavi is bound to become a classic. About the Author: Julia Flynn Siler writes for "The Wall Street Journal" from San Francisco. She is a former London-based staff writer for the "Journal" and "BusinessWeek," and has written for "The New York Times," She is a graduate of Brown University, Northwestern Universityas Kellogg School of Management, and Columbiaas Graduate School of Journalism.ALAN SKLAR has narrated over 75 audiobooks and earned numerous awards for his work. He has also provided the voice for thousands of corporate and medical videos, as well as many radio and TV commercials. He lives with his wife in New York. Note: This Talking Book is in mp3-CD data format. This signifies it will only run on CD players specifically set up to run mp3-CDs. It also can be loaded onto a home pc and cloned over to different mp3 players and played on them.